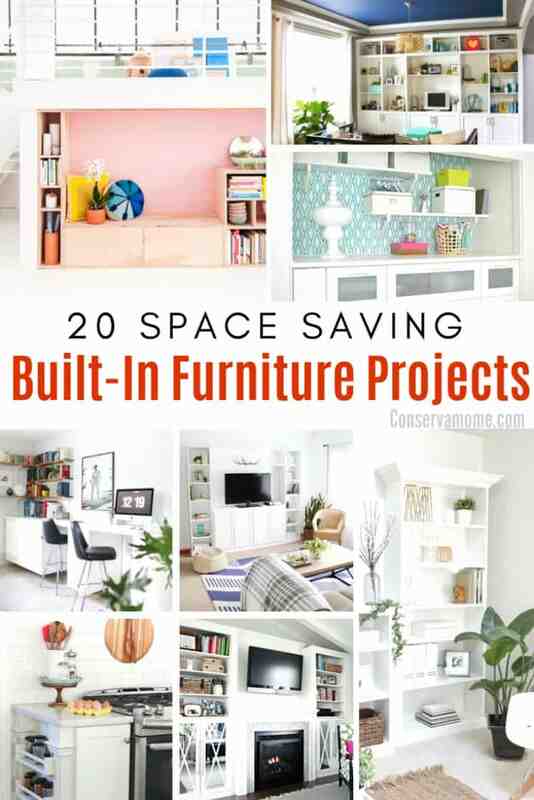 Finding the right amount of space can sometimes be tough.However, there are ways to make even the smallest spaces perfect with these 20 Space Saving Built-In Furniture Ideas. Space is one of those things you can’t get enough of in a home. Having enough room for all of your essentials can be tough. That’s why sometimes you have to think outside of the box when it comes to making things fit. Because space is always of the essence when you have a big family, I’ve come up with a fun round up of Space Saving Built-In Furniture Ideas perfect for even the smallest of spaces. So head below and check out how fun and easy it is to think outside of the box when it comes to saving space. Some of these ideas are so fun you can even combine a few to make the perfect home. Looking for more space saving ideas? Check out 5 Tips for saving space when sharing room with a baby! The built in library sounds like something I would use. I could display all of my books at once then. Neat, definitely could save some precious space. Thank you for sharing these! I love all of them, and really need to start something as we don’t have a very large home. Thanks for sharing this. I have been looking into some of these for my house.